Coming weekend after the K-Taping® PRO and K-Taping® LYMPH course the first K-Taping® SPEECH AND LANGUAGE THERAPY starts in the USA. 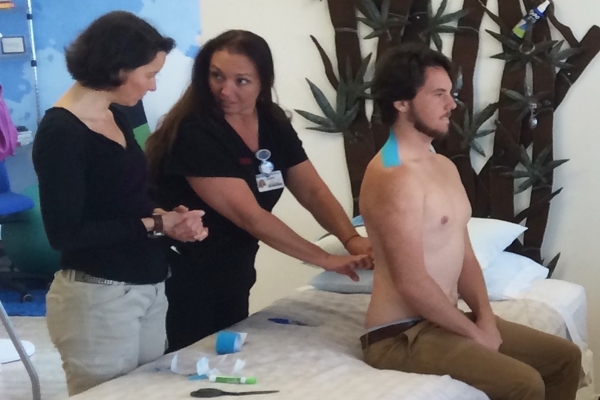 In Orlando, the new headquarters of the K-Taping Academy® USA, the “Speech Pathology Therapists“ learn for the first time K-Taping systems such as for dysphagia, which they can apply to their patients. The courses are aligned with the Florida Hospital Innovation Lab - FHIL.